For 30+ years our team has assisted small to large businesses with their marketing, from logo design, to stationery; signage; website design; leaflets; radio commercials and so much more. Ask about our economical website packages : tailor designed for Businesses, Charities, Clubs, Associations, Not For Profits and Schools. Katron's experience and reliability will help you build sales & profits; connect with new people, increase engagement AND rank in Google. Fast launch times. Katron's Graphic Design, Copywriting, Marketing and Event Management team members are as versatile as they are imaginative. Brainstorming sessions up front are a fun way to plan a project, plus to pull quotes together to ensure each and every project meets objectives, on time and on budget. 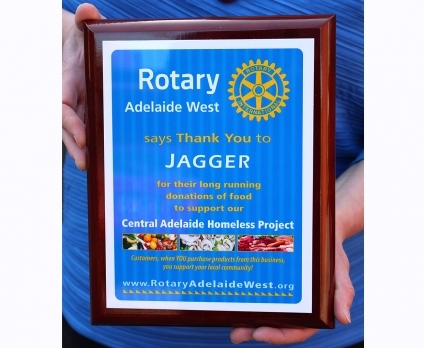 Phone (08) 8231 0636 today to book a convenient time. 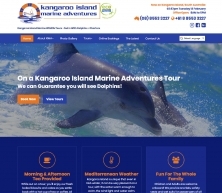 EXCITING NEWS Feb 2018 - Great to see Chris Hemsworth enjoying our client's fantastic Dolphin Tour - well done Kangaroo Island Marine Adventures! 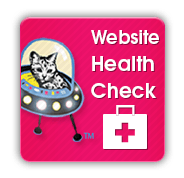 We enjoyed helping you with your new website. 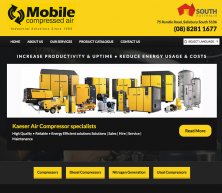 CONGRATULATIONS Mobile Compressed Air on launching your new website. It was a pleasure working with you as we collectively brainstormed a new direction for your website and marketing. Launched February 2018. 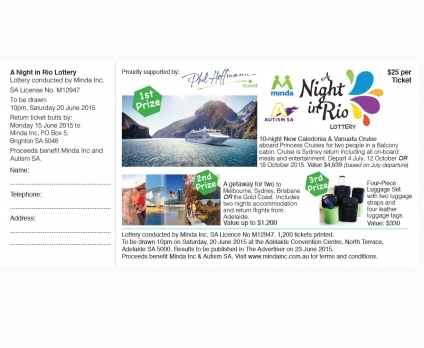 • outdoor advertising & promotional materials. Today, Katron Creative still offers all of these services, but keeping in step with the changing needs of our clients we now have a strong focus on the design and development of simple to use, very effective websites, search engine marketing and social media. Our emphasis on creative and distinctive marketing and communications is as strong as ever. These traits are as important on the Internet as they are in print, broadcasting or in any other media. Of course, the web offers new and unique opportunities and our role is to help our clients capitalise on those opportunities. Some clients utilise our Round-Table Brainstorming Sessions (read more) as an outstanding way to bring external marketing professionals into their business to bounce around ideas. 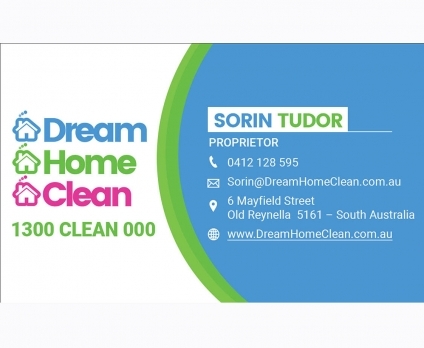 Give us a Call Today to find out more on 8231 0636.